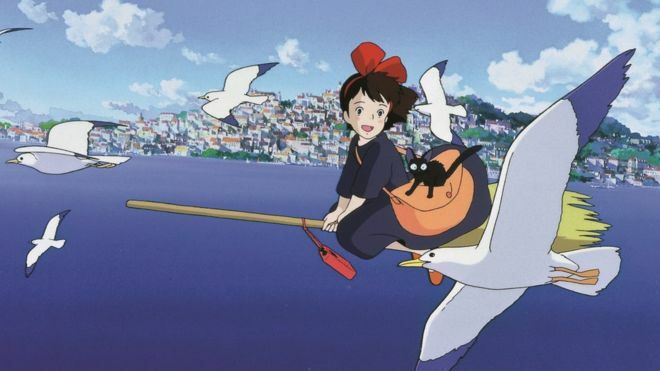 The first Studio Ghibli movie to become a hit in America (thanks to a distribution deal with Disney), Kiki’s Delivery Service is the story of a young girl (Minami Takayama) who travels to a European town to be a witch. A bit like Suspiria. Characterised by Hayao Miyazaki’s fondness for flight and feminism, this 1989 fantasy finds him on gentle, kid-friendly form. A big influence on this year’s Mary and the Witch’s Flower, this is a movie that young girls can identify with, witch or otherwise. Kiki’s magic is used to symbolise her coming of age, a metaphor obvious to anyone other than the Concerned Women of America (last heard from in Netflix’s GLOW), who called for a boycott of Disney over their supposed promotion of witchcraft. Hell hath no fury like a woman concerned. More charming than Harry Potter and more commendable than Amazon, Kiki’s Delivery Service is worth staying in for.